Pulling maintenance on one of the two chairs Ian will use on his trek. 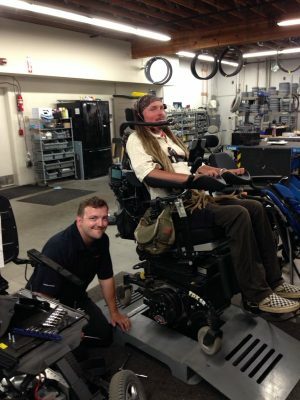 Ian Mackay is getting ready to roll later this month on his quest to traverse Washington by wheelchair and highlight the need for safe, accessible, complete connections. You can see the planning process and shoutouts to those helping make this possible on his ride blog. 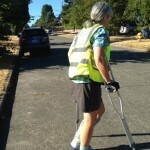 He could use your advice to improve his route, in particular passing through Seattle. While he has daily maps planned now for the whole trip, route details and destination cities are all subject to change with your help. 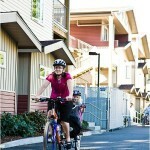 Steepness is not a problem; extremely bumpy roads and heavy traffic areas with little shoulder space are the biggest concern. Email suggestions on the routes below to Ian and comment here for others who will appreciate your tips and insights. Ride along! Ian welcomes people to ride along for any portion of the trip so let him know when and where you’d like to share the journey. Ian reports that fundraising has been going well. 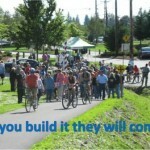 He has raised enough to cover all expenses; any additional donations will support the work of Washington Bikes to fight for increased investments and policies that support safer streets and trails. 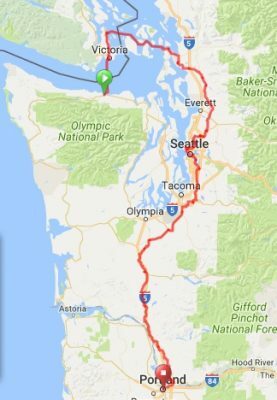 Ian notes that he has allowed 14 days in case the schedule has a hiccup along the way, so watch for an update if you plan to ride along for a segment. 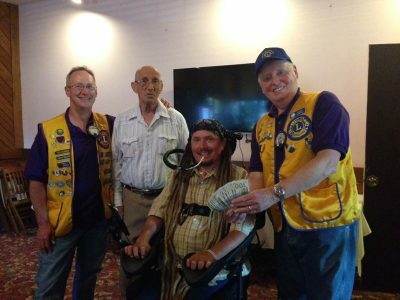 The Sequim Valley Lions Club is supporting Ian’s ride with a generous donation. Many thanks to the individuals and businesses making Ian’s ride possible. The Peninsula Daily News did a nice article on the journey, and check out the video below. 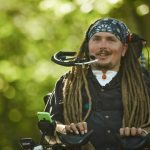 This article was posted in Accessibility, Adventure, Advocacy, Funding/Policy, Infrastructure, News and tagged accessibility, trails. Bookmark the permalink. Follow comments with the RSS feed for this post. Both comments and trackbacks are closed.